In 2017 I plan to read more of those books that you’re “supposed” to read in your life. One I read a long time ago and want to re-read. A few are books that I’ve really wanted to read and always say I will, but put it off in favor of any other book that catches my eye. Some are books that never sounded that good to me, but are such staples that I feel like I need to give in and read them, for the sake of being a bookworm and librarian. I plan to read one classic a month, which still gives me plenty of reading time for whatever books catch my eye on the shelves. 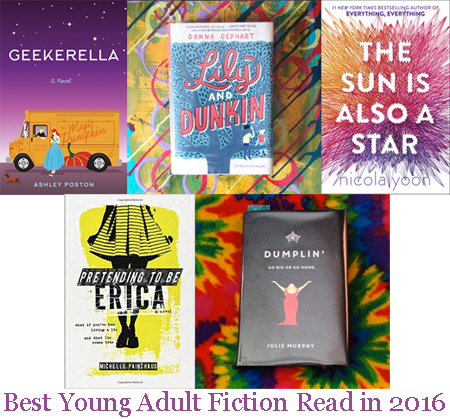 I also want to read more diverse books. I am going to make conscious choices with every book I read in 2017, but will read a baseline of 12 diverse books, which again is one a month, minimum. 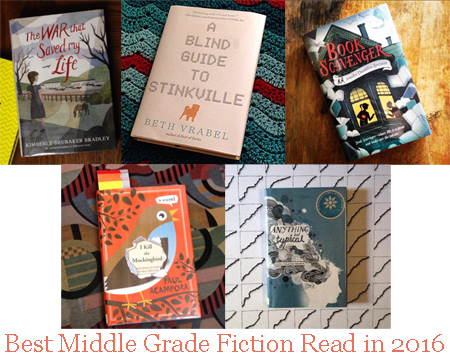 I picked books from We Need Diverse Books’ end of the year booklist. Are you undertaking any reading challenges for 2017? Do you have any book recommendations I should add to my list, or feedback on the titles I chose? I’m pretty hit-or-miss when it comes to reading nonfiction. It’s not what I gravitate towards, but if I’m interested in something, I’ll read about it. I especially love memoirs, anything by Bill Bryson (hilarious! ), and anything that reads like fiction (Jon Ronson is really growing on me). 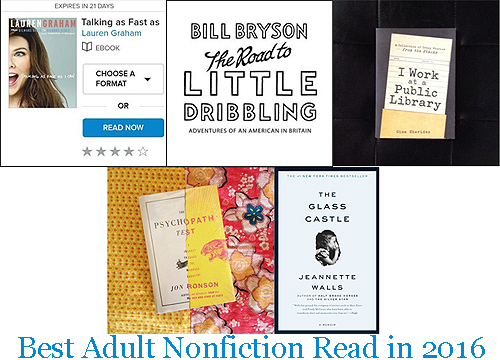 I only read 15 nonfiction books this year, so it wasn’t too hard to whittle the list down to 5. Pictures from my Instagram, except for The Glass Castle, which I apparently didn't photograph. 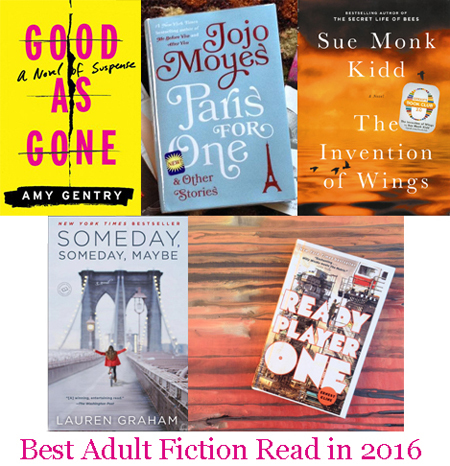 Also, eBooks are dominating this list, which doesn't make for good photos. Talking as Fast as I Can by Lauren Graham (2016). Disclaimer: I love, Love, LOVE Lauren Graham! I love her on Gilmore Girls and I love her on Parenthood and I’ve loved her little cameos on Newsradio, Seinfeld, Third Rock from the Sun, yada yada yada. So I started this book expecting to love it. Actually, I was waiting on pins and needles to get a chance to read it, because my library only got a digital copy and I was #9 on the holds list. Waiting for a book you’re dying to read is NOT easy! I was laughing out loud within the first few pages. It was a great book, and makes me want to be friends with Lauren Graham even more than I already did. Highly recommended if you like the actress, or memoirs, or laughing. The Road to Little Dribbling by Bill Bryson (2015). Bill Bryson is always a treat, but he’s gotten better with age. Now he detests stupid people more than he used to, and it comes across in his writing. His informative prose is very well-written, but the glimpses into his thought process are more hilarious than ever. I’ve spoken to a few people who didn’t think this book was as great as his others, but I thought his asides were really funny. I also enjoyed the history of England and descriptions of certain locations, but this might be because I visited England a few years ago, loved every second, and think of it often, so this book was a great chance for me to revisit. I Work at a Public Library by Gina Sheridan (2014). 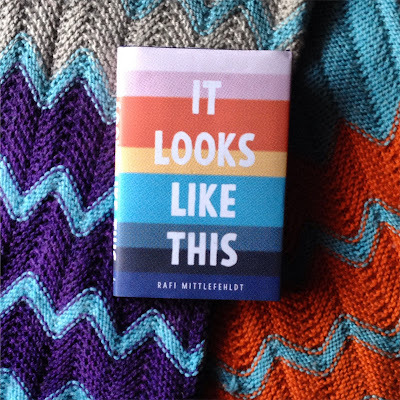 I’m sure it’s no surprise to anyone, but I love Love LOVE this blog and the book. So funny. I read it in a single sitting because I couldn’t put it down. I think librarians and civilians will love this book equally because it’s so easy to imagine each scenario happening. The Psychopath Test by Jon Ronson (2011). I love Jon Ronson because he’s witty and somewhat snarky but writes very well, and his nonfiction really pulls you in. This book was incredibly interesting, and referenced a fair amount of Them, which is the next book I will read by him (about conspiracy theories - yay!). I’ve previously read So You’ve Been Publicly Shamed, which was just as fascinating as it sounds. His subject matter is always incredibly interesting. The Glass Castle by Jeannette Walls (2005). This book has been on my TBR forever, and recommended to me by countless people. I am so glad I finally got to it. The stories are so interesting, and I love Walls’ writing style. Definitely going to read more from her. Highly recommend this one. 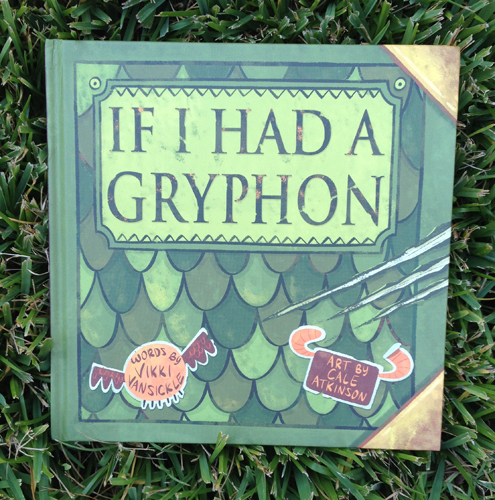 If I Had a Gryphon is a fun, beautiful book that parents will love to explore with their children. Sam's first pet is a hamster, and though she's only had him for a week, she's already bored by him. She daydreams about having a more exotic pet, like a unicorn, a hippogriff, and more. Even though these animals are more interesting, Sam realizes that they have qualities that might keep them from being the perfect pet. 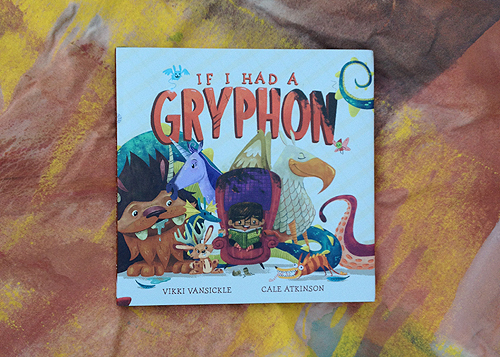 Vikki VanSickle's rhymes are fun and innovative, and Cale Atkinson's illustrations are as gorgeous as always. The last page sends the reader off with a great joke that will make you realize nothing's as it seems! The Storyteller by Evan Turk (shared by @afriendlyaffair) "The book, which is reminiscent of an ancient parable, reminds us of the power of a great story to quench the thirst for history, imagination, and togetherness." 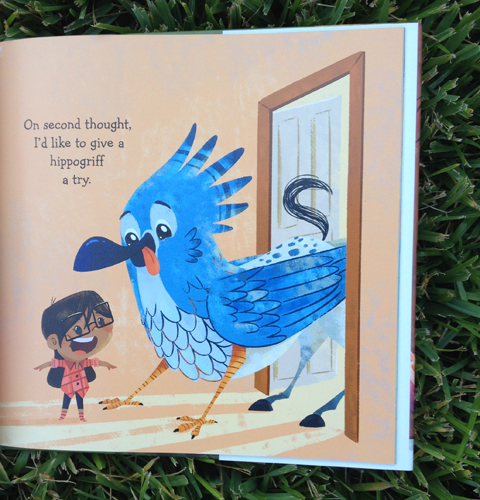 What Do You Do With an Idea?, by Kobi Yamada and Mae Besom (shared by @smallysbookshelf) "The words and illustrations in this book are nothing short of magic." This week had an unofficial theme, if you can't tell - construction and Halloween! I'm Dirty! by Kate and Jim McMullan. Dirty, a backhoe, tells the reader all about his work duties. My son and I love the attitude all of Kate and Jim McMullan's characters have. 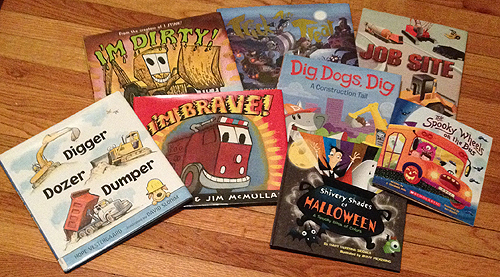 My son is still really into this collection of books because of The Stinky & Dirty Show. Trick ARRR Treat: a Pirate Halloween by Leslie Kimmelman, illustrated by Jorge Monlongo. 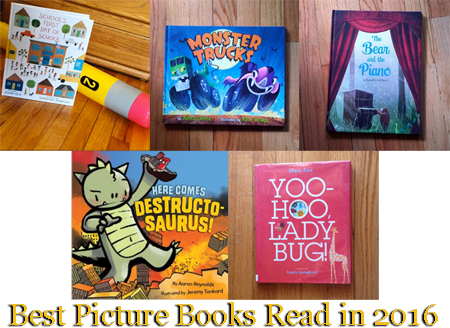 Reviewed in the Halloween books round-up. Job Site by Nathan Clement. These realistic illustrations of men and machines working helps explain what they do to children. Good as a starter nonfiction/informative book for really young children (though it is fiction and has a storyline). Digger, Dozer, Dumper by Hope Vestergaard, illustrated by David Slonim. This is a collection of poems about machinery and construction sites. Short and sweet, and reading one or two is a great way to cap off the usual bedtime stories. I'm Brave! by Kate and Jim McMullan. This book is about a brave fire engine, and probably has been my favorite of the series so far. I think my son loves all of them, again because of The Stinky & Dirty Show. Dig, Dogs, Dig: a Construction Tail by James Horvath. This is the CUTEST book! Dogs work together to build something together. Adorable illustrations. It helped the story engagement that, besides loving puppies and construction sites, my son is obsessed with this awesome Mudpuppy puzzle. Shivery Shades of Halloween: a Spooky Book of Colors by Mary McKenna Siddals, illustrated by Jimmy Pickering. Reviewed in this year's Halloween video. The Spooky Wheels on the Bus by J. Elizabeth Mills, illustrated by Ben Mantle. This book is pretty simple because everyone knows "The Wheels on the Bus", but the spooky twist is really fun. Make sure your kids sing along with this new version! 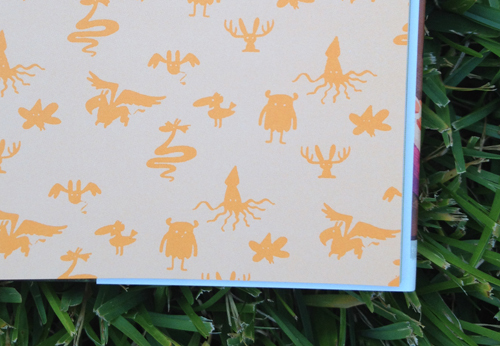 There's also a counting element to the song that makes it enjoyable as a book - you can point out and count spooky things in the illustrations.